Steven is the Chair of the firm’s Trusts & Estates Practice Group and has over 28 years of in depth experience representing individual and corporate executors, trustees, guardians, conservators, beneficiaries, and heirs in all aspects of litigation practice in the Surrogate’s Courts and Probate Courts throughout New York and Connecticut. His court work includes contested wills and trusts, disputes over the ownership of decedent’s property and closely-held business interests, contested accountings, discovery proceedings, fiduciary investment disputes, claim proceedings, contests to remove executors and trustees, enforcement of spousal rights, and contested guardianships/conservatorships. Steven clerked in the Law Dept. of the New York County Surrogate’s Court. 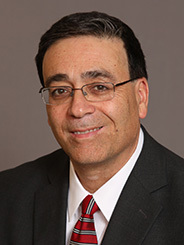 Prior to joining DelBello Donnellan, he served for 21 years as the lead trusts & estates litigator at Whitman Breed Abbott & Morgan’s offices in Park Avenue, New York City; White Plains, NY; and Greenwich, CT.
Steven also advises individuals in their personal and closely-held business tax planning. He holds an advanced law degree in taxation and implements wealth transfers through the preparation of sophisticated lifetime gifts, wills and trusts. Steven represents executors, trustees and individual clients before the IRS and state revenue agencies. NYU School of Law, L.L.M. Steven’s casework has been selectively cited under the State Statutes for the NY Civil Practice Law & Rules (CPLR §3126) and the NY Surrogate’s Court Procedure Act (SCPA §207). In Re Reichberg, 283 App.Div.2d 650, 725 NYS2d 853 (2001, 2d Dept. ), is an Appellate case concerning the right of a trustee to obtain legal fees against a trust beneficiary that failed to appear for a court-scheduled deposition. Steven defended the trustee against a damage claim of $25 million, which was resolved for $600,000. In Re Crosby – successfully defended the Executors and Trustees of the Estate of the founder of Resorts International in contests over $250 million dollars in dispute (NY Surrogate’s Court and FL Probate Court). Matter of Bell – successfully defended the executors and trustees in a property dispute over ownership and disposition of 400 acres of real property in Westchester County (NY Surrogate’s Court and CT Probate Court). Matter of Clark – successfully represented decedent’s family as beneficiaries in damage claims against the executor for breach of fiduciary duty, negligence and loss to commercial property (CT Probate Court). Matter of Sanchez – successfully represented a noted artist’s family as the beneficiaries in a Will contest concerning property and arwork on claims of fraud and undue influence (NY Surrogate’s Court). Matter of Matura – successfully represented decedent’s family as beneficiaries in a proceeding to remove an executor and trustee on claims concerning ownership of multiple closely-held business interests (NY Surrogate’s Court). Matter of Haight – successfully defended the trustees against claims of over $2 million in a contested trust accounting (CT Probate Court). Matter of K. – successfully vacated a Probate Court’s Order of Conservatorship allowing the conserved person to leave CT and return to her rightful home in the Michigan (CT Probate Court). Matter of L. – successfully defended the conservator and Order of Conservatorship from being rescinded (CT Probate Court). Matter of E. – successfully represented a family member petitioning as guardian in a contested guardianship involving an estate of over $40 million (NY Supreme Court). Matter of S. – successfully removed a Co-Trustee and her investment advisors in a contested Trust proceeding involving over $50 million (NY Surrogate’s Court).